There's potentially bad news ahead if you're hoping to wipe the drive on that future HP Envy X2 and load Ubuntu -- Intel reportedly claimed at IDF that Clover Trail-based Atom processors "cannot" handle Linux properly. As outlined in The Inquirer's account of events, the issue is more a matter of optimization than an outright block: Linux doesn't yet know how to cope all of Clover Trail's power state changes at the kernel level, which would put any penguin-powered PC at a disadvantage. Intel would really, really prefer that you run Windows 8, as the new Atom and Microsoft's OS are tuned to work hand-in-hand. 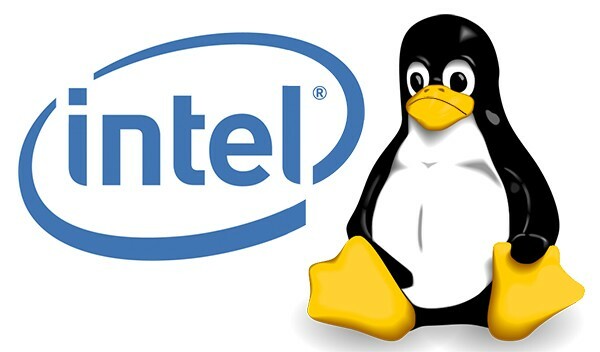 Linux might catch up, but the Windows-only emphasis is a sharp break from Intel's tendency to shower love on open-source OS projects across the board, including ongoing work like Intel-native Android builds or Tizen. Intel claims Clover Trail-based ! Atom won 't properly run Linux, points us to Windows 8 instead originally appeared on Engadget on Fri, 14 Sep 2012 12:51:00 EDT. Please see our terms for use of feeds. If you're building or upgrading a budget gaming rig, it'll be hard to ignore the GeForce GTX 650 and 660. Whether or not NVIDIA's new chipsets are worth the glance is another matter, and early reviews suggest that a sale depends on just which market you're in. The GTX 660, by far the darling of the review crowd, competes solidly against the Radeon HD 7850 by outrunning AMD's hardware in most situations while undercutting on the official price. Only a few have taken a look at the lower-end GTX 650, but it's not as much of a clear-cut purchasing decision -- the entry-level video often slots in between the performance of the Radeon HD 7750 and 7770 without the price edge of its bigger brother. Either card is much better value for the money than the GT 640, however, and looks to be a meaningful upgrade if you're trading up from equivalent prior-generation gear. NVIDIA GeForce GTX 650 and 660 review roundup: hitting the sweet spot, sometimes originally appeared on Engadget on Fri, 14 Sep 2012 14:11:00 EDT. Please see our terms for use of feeds. Google's had one foot in the web privacy door for a while, offering Chrome users the Keep My Opt-Outs extension in its browser's Web Store since 2011. Still, Firefox, Internet Explorer and Safari already offer a Do Not Track option directly in their browser settings. Mountain View is now working to close that gap by bringing that same privacy configuration to Chrome. Do Not Track will let users opt out of tracking cookies and targeted advertising (from ad networks that comply with the standard, that is), and is currently live on Chrome's developer channel. 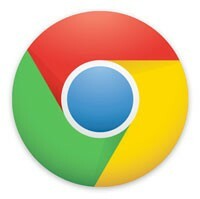 The option will reportedly be baked into the stable version of the browser by the end of the year. Google plays privacy catch-up, adds Do Not Track option to Chrome originally appeared on Engadget on Fri, 14 Sep 2012 13:47:00 EDT. Please see our terms for use of feeds. For drivers who can't decide if they want tinted or clear glass, BMW has an answer. The auto maker's Concept Active Tourer, to be presented at the Paris Motor Show in a few weeks, features a "Cool Shade" roof that can change brightness at the touch of a button. It's based on SPD-SmartGlass technology, designed by Research Frontiers Inc. The molecular structure of the glass is changed via electrical impulses, altering how much light is allowed through. The result is a new level of control over the lighting, glare, and temperature of the car's interior, with the added benefit of UV protection. The Concept Active Tourer is the first to use the technology, but Research Frontiers predicts it will be adapted in other cars, planes, boats, and buildings. If applied to car windows and the windshield as well as the roof, the feature could make driving safer: no more impaired vision when driving into sunlight. Greater control over temperature would limit the need for air conditioning, improving fuel economy. On top of the practical benefits, the ability to go from clear glass to a fully tinted ride by pushing a button would just be plain cool. What's red or black, 4 x 4 inches and exposes itself shamelessly on the show floor at IDF 2012? If you answered Intel's Next Unit of Computing (NUC), you'd be right. The diminutive PC was on display at Intel's Developer Forum along with its motherboard and cooling assembly. 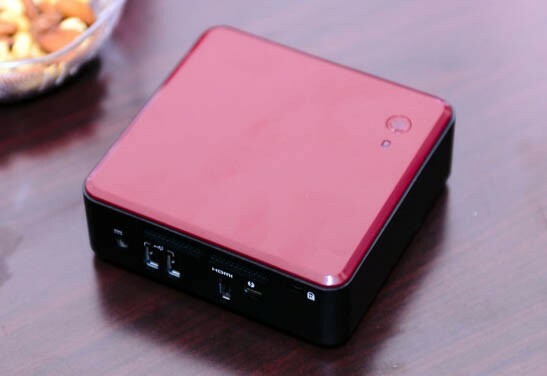 It comes in two flavors, a consumer-geared model with a single HDMI connector and Thunderbolt (in red) and a more business-centric version with two HDMI outputs and Ethernet (in black). Both mini-systems feature a third generation (Ivy Bridge) Core i3 CPU, QS77 chipset, two dual-channel DDR3 SoDIMM slots, mSATA and mini-PCIe interfaces (for SSD and WiFi cards), five USB 2.0 ports (two back, one front, two internal) and a socket for an external 19V DC power supply. The company hopes to get the attention of OEMs and DYI-ers alike when it makes this small, light and simple computer design available in October for about $400. Check out the gallery below and our hands-on video after the break. Intel's Core i3 NUC mini-system bares it all for IDF (hands-on video) originally appeared on Engadget on Fri, 14 Sep 2012 06:29:00 EDT. Please see our terms for use of feeds. LG's latest L-series smartphone, the Optimus L9, has just breezed (elegantly) through the FCC's radio frequency trial-by-screwdriver. The dinner-jacket-white clad Android smartphone is part of the "L-Style design philosophy" from the Korean maker, which emphasizes budget panache over brute performance. As such, it's a handsome but plasticky device, with a 4.7-inch IPS screen, ICS, qtranslator language app, dual-core 1GHz CPU, 1GB of RAM, 2,150mAh battery and 5-megapixel shooter. Vodafone in Europe showed the price as €340 unsubsidized or €50 on contract, but a member of the L-series family has yet to cross the pond. 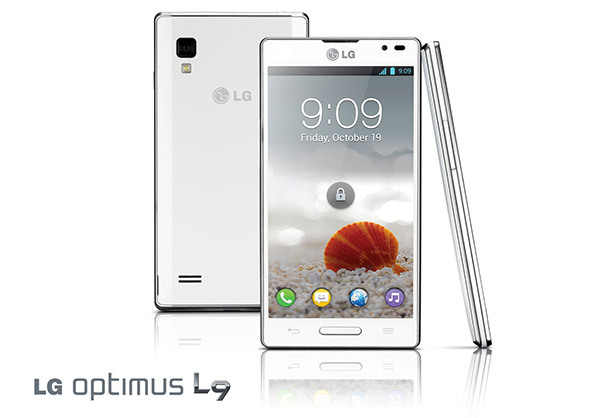 However, a surprise peek of its Optimus L7 sibling as US Cellular's upcoming Splendor shows there's some hope for a stateside cameo. LG Optimus L9 saunters through FCC, asks for martini originally appeared on Engadget on Fri, 14 Sep 2012 05:38:00 EDT. Please see our terms for use of feeds. This is really cool. Scientists have found a way to make water boil without causing any bubbles. How? Drop some superheated, nanoparticle-coated steel into the water. The phenomenon is based on something called the Leidenfrost effect. 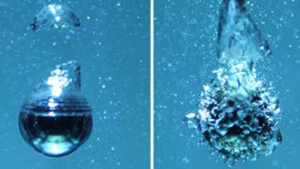 That's where water coming in contact with a super hot substance will form a layer of vapor between it and the surface. In this experiment, scientists took steel balls and coated them in nanoparticles that gave them a rough surface. They then heated the balls to 400 degrees Celsius and dropped them into some water. That's where the cool part happens. Instead of creating a bunch of bubbles around the balls, the layer of vapor created around the steel caused the bubbles that formed to stretch themselves around the ball's rough surface. That meant that the surrounding water was mostly undisturbed. It stayed that way all the way until the balls dropped back under boiling point. 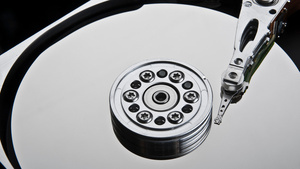 Western Digital is planning to launch a range of helium-filled hard drives. Not to make them lighter or higher-pitched, though: with a density one-seventh that of air, the gas reduces internal drag, in turn boosting performance. PC World reports that filling the drives with helium provides such a reduction in internal friction that they run four to five degrees cooler than today's 7200 rpm drives. As a result they use 23 percent less power and allow the engineers to fit in seven disk platters as opposed to five. That means they feature a 40 percent jump in capacity. The technology has apparently been in development for some time, with the main issue being finding a way to reliably keep the helium from leaking out of the devices. That's a nut they've cracked, though, and apparently the hermetically sealed disks can be used in more extreme conditions as a result. 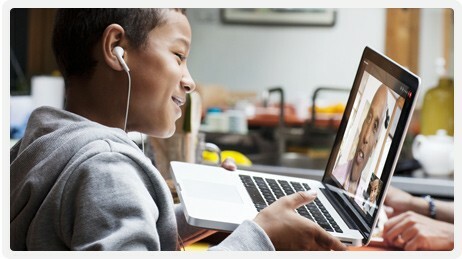 Skype 5.11 beta for Mac adds instant messaging features, enhanced Facebook integration originally appeared on Engadget on Fri, 14 Sep 2012 01:04:00 EDT. Please see our terms for use of feeds. 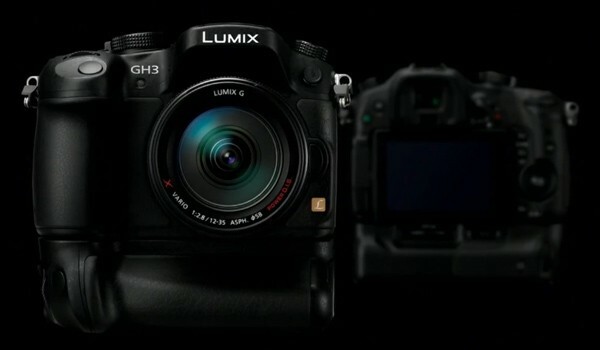 Though the GH3 has yet to be formally introduced to the world, a video has just appeared on an official Panasonic YouTube channel that has either been posted accidentally or is deliberately intended to build hype in the run-up to Photokina. It mainly shows off the GH3 in a range of picturesque shooting situations, but the clip also spills a few key specs, including the presence of a 16-megapixel sensor, a new version of Panny's Venus Engine processor, a splash- and dust-proof magnesium alloy build and high-definition filming at up to 72Mbps and 60p -- although it's not clear if it handles full 1080 at that high frame-rate. We also see a a flip-out LCD that looks much the same as the GH2's, an f/2.8 12-35mm lens attached instead of the 14-42mm or 14-140mm glass that came bundled with that predecessor, and so far only evidence of a traditional black color scheme. Click onwards for the video! Panasonic video reveals Lumix GH3 Micro Four Thirds camera: 16MP, magnesium alloy, 60p video originally appeared on Engadget on Fri, 14 Sep 2012 03:22:00 EDT. Please see our terms for use of feeds.! With Google's mobile OS claiming a whopping 68 percent of the world's total smartphone marketshare, it's almost a requirement for companies to expand outside of that other well-known platform. Naturally, the Kickstarter-funded Triggertrap has taken note of this and is now announcing that its automatic shutter release creation will be available on Android starting today. 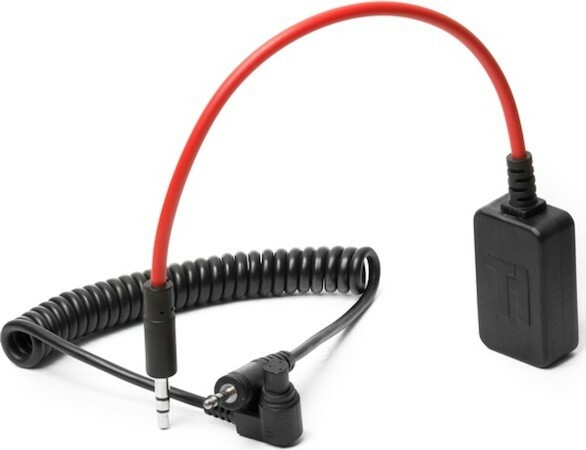 Unlike on iOS, however, the Triggertrap Mobile application won't have a free version on Google Play (or Amazon's app store), so users will have to shell out $5 for the app in order to get started -- of course, that's on top of the $30 for the must-have dongle and matching cable. Triggertrap's expected to be showing off the new Android app at Photokina next week, and you know we'll be sure to bring you a demo to help you decide if it's indeed worth pulling the trigger. Triggertrap brings its auto shutter release powers to Android with new application originally appeared on Engadget on Thu, 13 Sep 2012 20:01:00 EDT. Please see our terms for use of feeds. As promised, the complete list of 180 (no more, no less) fiberhoods qualified for Google Fiber service has been announced. With it, the approximate construction schedule has also been posted online, confirming Hanover Heights in Kansas (October) and Crown Center in Missouri (Spring 2013) will lead off the deployment for their respective areas. If you live in a qualifying area and have not signed up yet you will be able to to sign up or change plans until installations actually begin, which will be October 2nd in Hanover Heights. All of the info about Google's gigabit internet service and how to get it is at the blog and if you're still waffling, remember -- it has ESPN now. 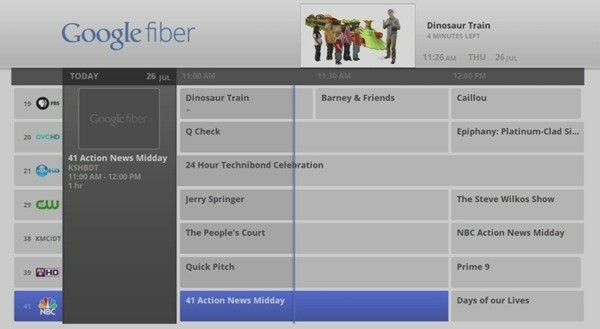 Google Fiber announces 180 qualified fiberhoods, sets approximate rollout schedule originally appeared on Engadget on Thu, 13 Sep 2012 20:24:00 EDT. Please see our terms for use of feeds. 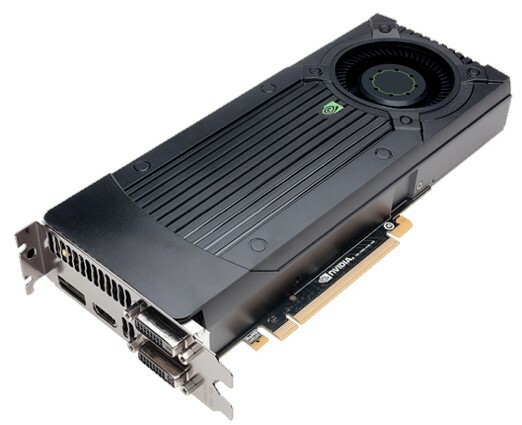 NVIDIA's had some trouble shaving its Kepler GPUs down to an entry-level price point, but it looks to have put the problem behind it with the new GeForce 660 and 650 graphics cards. The company's ambition was to coax impoverished gamers clinging to DirectX9 (and to a lesser extent, 10) into switching up to this wallet-friendly pair of low-end units. The 650 is the company's self-proclaimed "gateway" into gaming, being the lowest-priced Kepler it's planning to produce. Unlike the other cards in the range, it lacks GPU Boost, but the company left six-pin power on the card, giving card makers 64W to push the "good overclocker" 1GHz units all the way to 1.2GHz. It's got 1GB of DDR5 RAM, which will apparently handle even the newest games at mid-range levels of detail with its 384 CUDA Cores. The pair! are ava ilable from today, with companies like Maingear and Origin already announcing discounted desktops for them to nestle inside. NVIDIA ticks budget boxes with the $229 GeForce 660 and $109 GeForce 650 originally appeared on Engadget on Thu, 13 Sep 2012 09:00:00 EDT. Please see our terms for use of feeds. HP's Envy 14 Spectre hit almost all the right notes when we reviewed it back in March, thanks to its high-res display, sleek metal-and-glass design and brisk performance, but a stiff trackpad and the steep $1,400 price were clear downsides. The new Envy Spectre XT, a 13.3-inch Ivy Bridge-powered Ultrabook, has a thinner, lighter profile than its big brother, and a lower $1,000 price tag to match. That's still not chump change, though, so does the XT deserve a spot in the top tier of Intel-approved ultraportables? Join us past the break for the full breakdown. 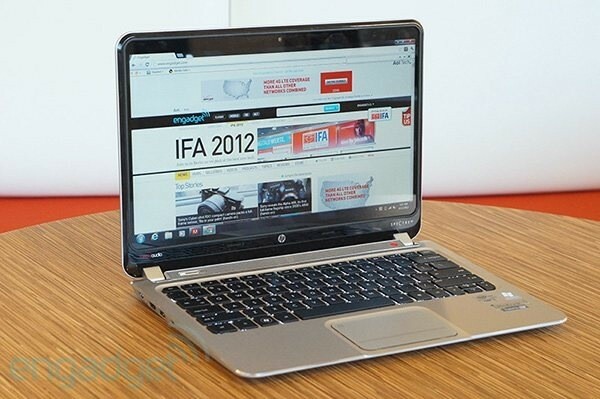 HP Envy Spectre XT review: a sleek and speedy Ultrabook with a killer keyboard originally appeared on Engadget on Thu, 13 Sep 2012 12:00:00 EDT. Please see our terms for use of feeds. 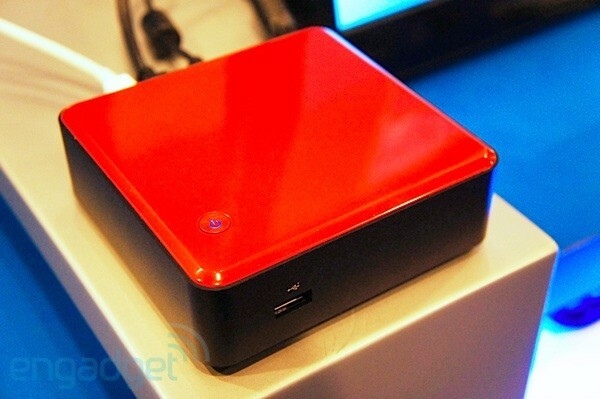 Intel's Core i3 NUC mini-boards set to hit market in October, power up hobbyists and! OEMs originally appeared on Engadget on Thu, 13 Sep 2012 12:31:00 EDT. Please see our terms for use of feeds. If you're a computational engineer, there's no question about what you do with the Raspberry Pi: you make a supercomputer cluster. Researchers at the University of Southampton have followed their instincts and built Iridis-Pi, a tiny 64-node cluster based on the Raspberry Pi's usual Debian Wheezy distribution and linked through Ethernet. While no one would mistake any one Raspberry Pi for a powerhouse, the sheer number of networked devices gives the design both some computing grunt and 1TB worth of storage in SD cards. Going so small also leads to some truly uncommon rackmounting -- team lead Simon Cox and his son James grouped the entire array in two towers of Lego, which likely makes it the most adorable compute cluster you'll ever see. There's instructions to help build your own Iridis-Pi at the source link, and the best part is that it won't require a university-level budget to run. Crafting the exact system you see here costs under £2,500 ($4,026), or less than a grown-up supercomputer's energy bill. Supercomputer built from Raspberry Pi and Lego, managed by humans rather than Minifigs originally appeared on Engadget on Thu, 13 Sep 2012 14:03:00 EDT. Please see our terms for use of feeds. 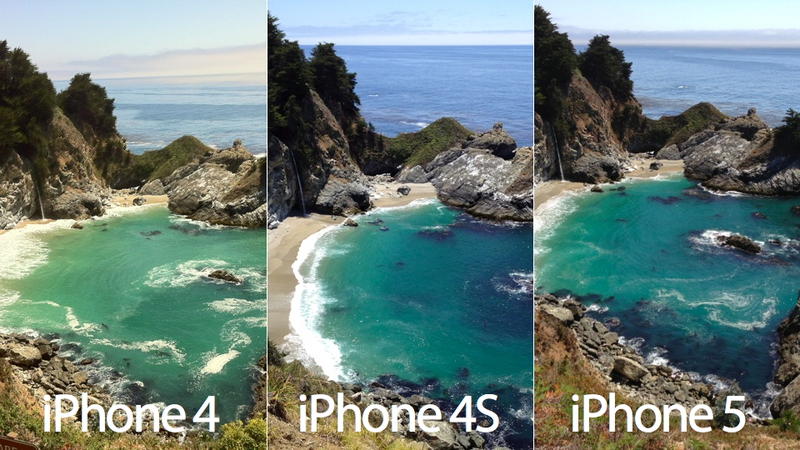 Though we won't get an official side-by-side comparisons of the camera in the iPhone 4S and the new iPhone 5 until we get our hands on it, this is about as close as it gets: Scott Everett, from Dpreview, took nearly the same picture of Big Sur that Apple has been using in its iPhone 5 sample gallery with his own iPhone 4S. It's the first head to head look of the camera in the iPhone 5 and iPhone 4S. It's a remarkable coincidence that's astutely analyzed by Dpreview and they've discovered that the iPhone 5 (though listed as having a similar spec'd camera) actually has a different sensor than the 4S. Dpreview compared the EXIF data and saw that the iPhone 5 was able to drop to ISO 50, which means "for images taken in such bright light, this strongly suggests the newer model has a lower minimum sensitivity." Also, Dpreview suggests that the iPhone 5 has a slightly larger sensor than the iPhone 4S when digging deeper into the EXIF data. From our perspective, there seems to be a little more detail in the iPhone 5 but that could be a lot of different factors in play (time of day, etc.). I definitely prefer the look of the iPhone 5 camera more but on first glance, it doesn't seem as significant a jump as the the iPhone 4 camera to the 4S camera was (and definitely not 3GS to 4). 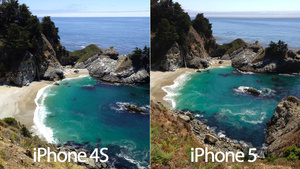 Of course, this isn't a real hands-on comparison and it's not taken at night where we can see if the iPhone 5 has improved low light performance, but it does give you the idea of what the 4S and 5 are capable of. Check out the real photos of the two iPhones at Dpreview. If you'll recall, AT&T was quick to inform users after WWDC that it would not be supporting FaceTime over Cellular on all of its data plans (you'll need a Mobile Share plan for it to work) when it launches as part of iOS6 on the 19th. Now Verizon has responded, confirming in its iPhone 5 press release that the feature is welcome on any data plan allowance. Of course, your usual data restrictions will still apply so we wouldn't leave those 720p backside illuminated cameras streaming for too long. If you're the type to set your watch by iPhone launches, the press release also mentions Friday at 3AM ET is the time when they'll be available for preorder on the website, check the rest of the details after the break. Verizon Wireless confirms FaceTime over cellular on all data plans originally appeared on Engadget on Wed, 12 Sep 2012 23:35:00 EDT. Please see our terms for use of feeds. As one major event wraps, we look forward to what's coming up next: Motorola's Intel announcement. We have a hard time believing we'd see anything besides a smartphone with an Intel chip inside, but the biggest mystery is in what type of phone. Are we going to see something ho-hum, or mind-blowingly awesome? Whatever it is, we think we may have stumbled upon a clue. Motorola's XT890, which has been rumored to be a global RAZR M with a 2GHz CPU and 897 x 540 screen resolution, just wandered through the FCC with AT&T-friendly 2G and 3G radios. There's no hint of LTE here, though the FCC doesn't require OEMs to mention non-US frequencies. The docs, however, indicate that we can expect dual-band WiFi -- no word on NFC, but we'd be very surprised if it didn't make the final cut. The supercharged processor seems almost too good to be true, but we wouldn't offer up any complaints if there is any truth to the idea. Motorola XT890 approved by FCC, may be next week's 2GHz Intel phone originally appeared on Engadget on Thu, 13 Sep 2012 02:03:00 EDT. Please see our terms for use of feeds. We do love products that only exist to circumvent the finer points of legislation (hello there, Aston Martin Cygnet), but even better are the ones that actually serve a purpose. 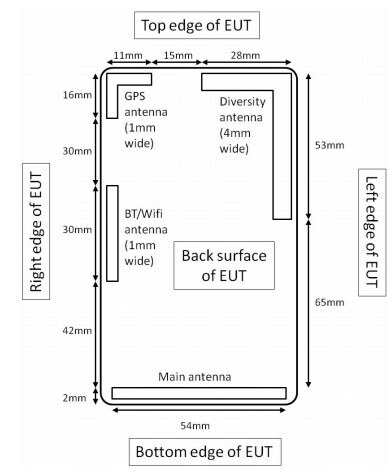 To comply with the European Commission's insistence that all smartphones must have a microUSB connector, Apple is putting out a Euro-specific adapter for its new Lightning standard. It's turned up in the UK and French stores so far, setting you back £15 / €19 ($25) -- and we imagine it won't be long before some entrepreneurial soul starts buying them in bulk to sell to microUSB users Stateside. 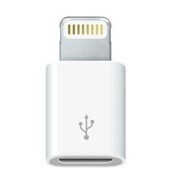 Apple appeases European lawmakers with Lightning-to-microUSB adapter originally appeared on Engadget on Thu, 13 Sep 2012 04:13:00 EDT. Please see our terms for use of feeds. Nerf's doing it, and so is Hasbro, but there's plenty of room for other folks in the laser tag market, and Hex3 is a startup looking to get in on the action. 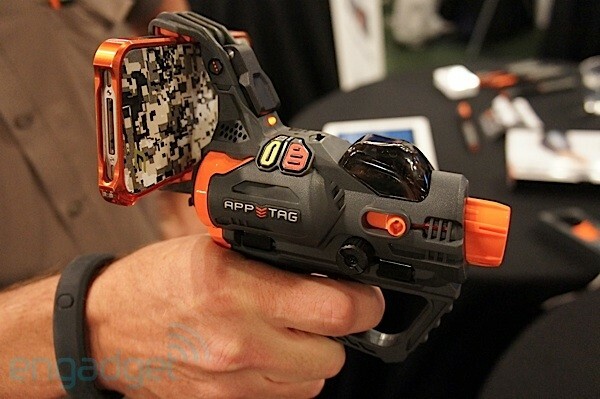 Called the AppTag Laser Blaster, it combines old school IR-based laser tag with new school augmented reality. Like its aforementioned competition, the gun uses your Android or iPhone (yes, that includes the 5) and a companion app. The app turns your phone into a HUD when playing with friends or an AR window when you're shooting solo. Where AppTag differs is in how the pistol communicates with your phone. It uses a proprietary high frequency audio signal that requires no pairing or other similar procedures -- you simply load up the app, clamp it to the gun and you're good to go. Additionally, AppTag's removable pistol grip is attached to the gun via a rail mount. That means the system can be attached to existing Nerf weapons and even real firearms should you be so inclined, plus there's a corded pressure switch that you can affix to the trigger of any gun. For now, there are a handful of games included in the app, but Hex3 is releasing an SDK so that developers can get creative building their own using the blaster's four buttons, trigger and reload switch. Interested? AppTag's currently up for pre-order at $59 bucks a pop, with shipping slated to start in 4-6 weeks. Before you part with any hard earned cash, however, check out our video after the break to see in action. Hex3 AppTag Laser Blaster turns iPhones and Androids into augmented reality laser tag gun sights (hands-on) originally appeared on Engadget on Wed, 12 Sep 2012 17:16:00 EDT. Please see our terms for use of feeds.